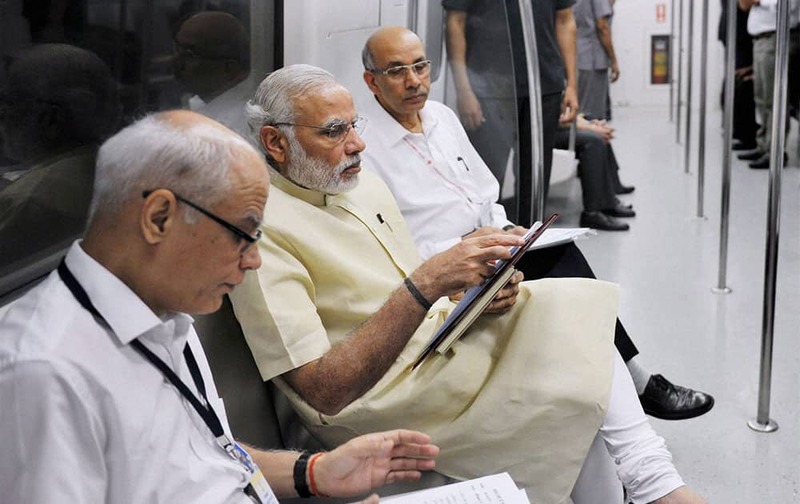 Prime Minister Narendra Modi interacting with the co-passengers while travelling by the Delhi Metro to Faridabad. 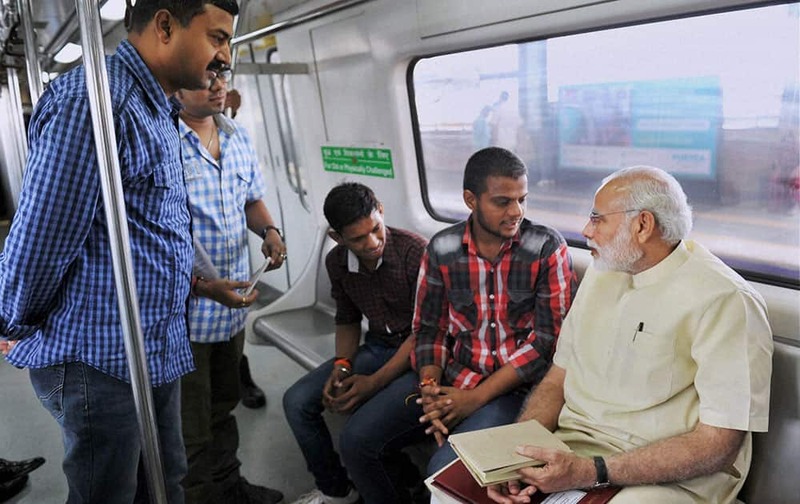 Prime Minister Narendra Modi interacting with co-passengers while travelling by Metro from Janpath to Faridabad. 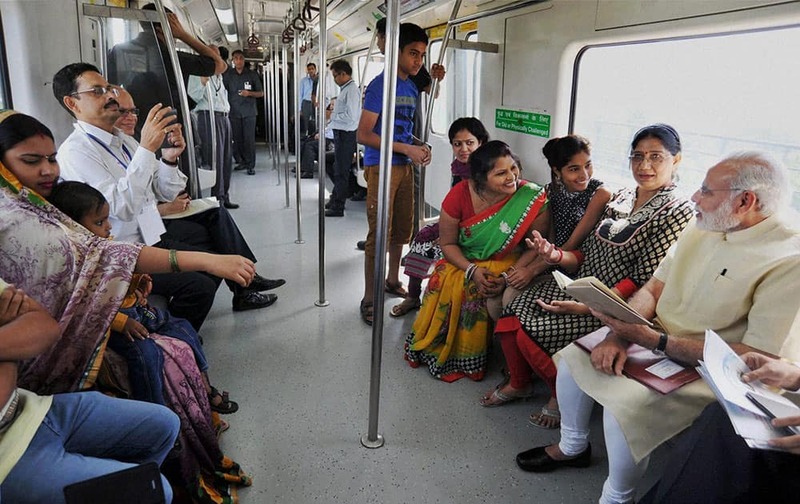 Prime Minister Narendra Modi takes the Metro from Janpath to Faridabad during the inauguration of the Badarpur-Faridabad Metro Line. 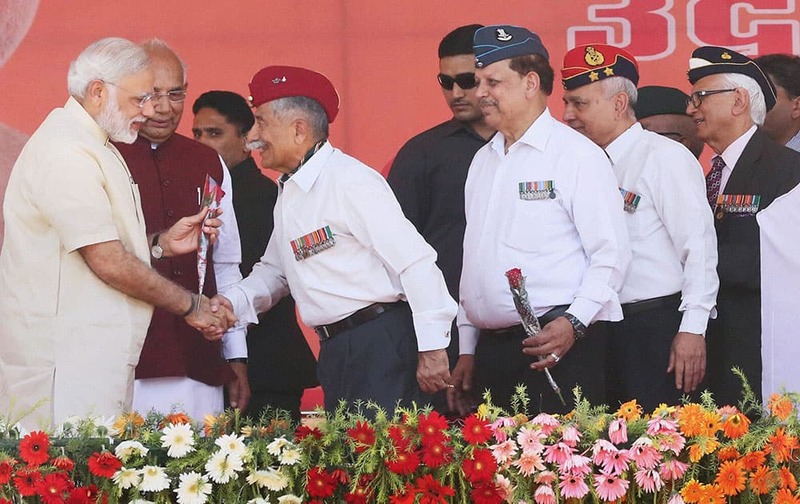 Prime Minister Narendra Modi is greeted by Ex-Servicemen during the inauguration of Badarpur-Faridabad extension of the Delhi Metro in Faridabad.